﻿ Best Price on Hotel Santa Leticia in Ataco + Reviews! 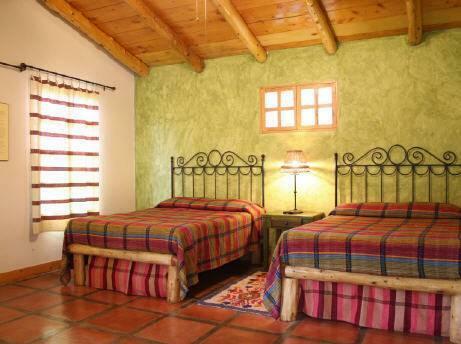 Set in a coffee plantation 1.2 mi outside Apaneca, Hotel Santa Leticia offers charming rooms housed in a mountain lodge. It features a restaurant and an outdoor swimming pool surrounded by gardens. Each spacious room at Hotel Santa Leticia has bright décor with beamed ceilings and tiled floors. There is a private bathroom and cable TV. Guests can enjoy a range of local cuisine in the Santa Leticia’s restaurant. There is also a bar. The Santa Leticia is surrounded by forest and has an ideal setting for hiking. Staff can provide information on local activities, including archaeology excursions. Tulapa is a 10-minute drive from the hotel. San Salvador is 53 mi away.